PEMF4000 GIII Questions And Answers! Please Call Me! I can help! Q: What is the frequency of the PEMF 4000? A: It has a pulse frequency from 1 to 200 pulses per minute. Q: How many Hertz (Hz) does your unit provide? A: This can be a confusing question. Hz only deals with the power input, so it has nothing to do with the performance of the machine. Hz is measured in pulses per second. The PEMF 4000 measures .01 to 3.3 Hz. Q: How much power does your device produce? A: PEMF 4000 is the most effective device, providing 2400 to 21000 Gauss (which converts to .24 to 2.1 Tesla). The part that makes our machine so effective is not so much the power as it is the speed of the pulse. Our pulse delivers electro magnetic energy in 100 nanoseconds, penetrating the cell barrier to provide the body instantly usable energy. This makes dramatic improvement possible in a short period of time. Q: What makes the PEMF 4000 different in comparison to the PEMF100? A: The biggest difference is the speed of the pulse which determines the treatment effectiveness. PEMF 4000 pulses at speeds of 100 nanoseconds per pulse. The PEMF 100 pulses at about 10 milliseconds per pulse, which converts to 10,000,000 nanoseconds – very slow! Plus, our power level of 2.1 Tesla allows the energy to penetrate deeper into the tissue. 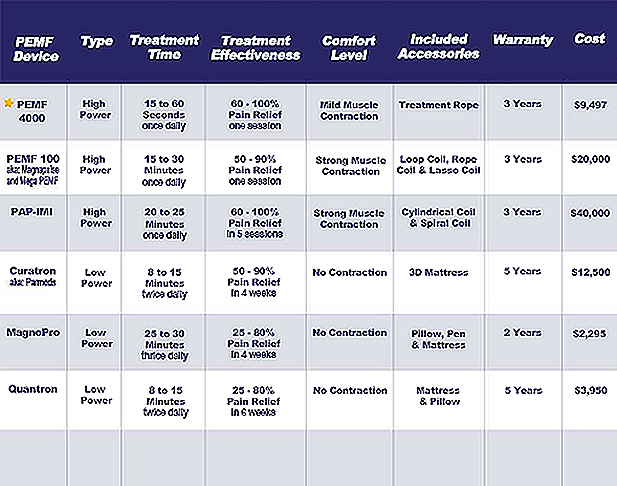 As a result, PEMF 4000 relieves pain in one treatment of 60 seconds on average while the PEMF 100 relieves pain in 30 minutes to an hour, at best. Our design is more durable and professional than the PEMF 100 which only lasts 3 months on average. Our customer support is personal, pleasant to work with, and easy to reach. And our price is better at $10k as opposed to $20k for the PEMF 100. Q: How come your PEMF device is so much less expensive? A: Because this is the price the technology should be going for. The others are quite over priced because they are taking advantage of the demand for pain relief. Our goal is to provide both healing and pain relief that is accessible and affordable for the average user. A: Yes, we do. We work with a well established lending company who specializes in equipment financing. We can email you an application for more details. Q: Do you have a lease or rent program? A: No, after some bad experiences we decided to stay away from it for now. Q: Can this device heal any sickness? A: There is a huge field of areas where PEMF has proven to be of significance in healing and relieving pain. We are not doctors and can not give any conclusive statements, but we can promise you that almost regardless of your condition, you will benefit from the PEMF4000. Please go on our web site and blog to get more details about treatments and health studies from all over the world. Q: I have metal implants. Will the PEMF do any harm to me? A: Metal implants in general are fine so long as the area is treated carefully. However, people with pacemakers, insulin pumps, or other implanted electronics should not use it. Q: Can one get overdosed with using PEMF? A: No, electromagnetic energy is a natural thing found all around us. Using the PEMF 4000 does stimulate the cell metabolism, which causes the cells to release toxins for elimination by the immune system. It is good to drink a large glass of water after treating to help the body flush any toxins that may have been released. Q: I suffer often from migraines. Can I wrap the cable around my head? A: Although we have seen videos from other PEMF manufacturers where they treat the head, we do not recommend it because the brain is very sensitive to electromagnetic fields and it could cause interference. With our device you can treat migraines successfully by using the treatment rope only around your lower neck and upper shoulders. Q: Is there any way I can try the machine before buying? A: We can even do better! We offer our PEMF 4000 with a “No Questions Asked 30 Day Money Back Guarantee” so you can try it, test it, and get the full experience with the device in the comfort of your own home. If you, for whatever reason, do not like it or do not have the expected results you can return it and get your money back. But we have to warn you…. NOBODY has done it yet!!!! Q: Is the PEMF4000 FDA approved? A: The PEMF 4000 is not approved as of now. We are currently working on this bureaucratic issue. Fortunately, PEMF technology in general is approved by the FDA already. Q: How heavy is the PEMF 4000? A: Our machine weighs about 35lbs. It does come in a very durable military case that rolls on wheels with a retractable handle that makes it very easy to move around or travel with the device. Q: Do you recommend the “Full Package” or the “Basic Unit”? A: The Basic unit with the treatment rope gives you unlimited possibilities for use. The Full Package gives you that plus our clinical-quality selection of accessories, including our easy to use back wrap, joint wrap, and mattress which are great for on-going pain management. And, you can get the Full Package at a special price of $11,399 which saves you well over $1000 in retail accessory costs. A: Due to the fact that the merchant processing companies are increasing the rules and restrictions for purchasing high ticket items on credit, we distance ourselves from accepting credit cards. We do accept payment by check after billing. We also accept wires and direct deposits, which we honor with free shipping in the USA and 50% off shipping internationally. PEMF technology is revolutionizing the way doctors treat pain – and while there are many different devices available, there is very little information explaining what make some PEMF machines better than any other.If you’re like the rest of us, you probably found lots of confusing numbers and scientific Terms when you tried to find the real difference between these machines yourself.You know, the kind of information you can’t find in a sales pitch!That’s why; right here and right now, we are going to clear the fog surrounding what makes one PEMF machine better than another – so you can make an informed decision as a doctor or patient looking to experiment with one for yourself. To make a wiser buying decision, it helps to know what’s happening when you use a PEMF device. We’re going to go over the basics so you have a clearer understanding of what is really going on during your PEMF treatment. After you know, you may find it’s easier to get a sense of which kind of PEMF device will work best for you. We’ll keep this short, sweet and simple so remember to take mental notes because they’ll help you when we start comparing the different machines. The first PEMF device was called a ‘lightning’ machine for a reason! PEMF works because it charges up your cells with electricity. Problems that the PEMF treats such as chronic pain can only happen in areas of low voltage in the body. That is, places where the cells are low on energy for any number of reasons (injury, fatigue, illness, etc). A PEMF machine sends extra electrical charge to those low energy areas using magnetic to carry it into the body. Basically, the device send a ‘package’ of energy into the low energy areas – think of the magnetic field as the envelope and the electricity as the message! And when the cells receive that electricity they immediately use it to heal the body – and relief can happen very quickly (within seconds to minutes) depending on the device. What makes the PEMF 4000 device different than the others? When it comes to PEMF devices, there are many choices and many opinions on which is the right machine to use. Personally, I have tried 11 different models ranging from $200 all the way up to $25,000. Some machines have super high intensities for brief microseconds, others have weak intensities with continuous pulses. Some machines have sine waves; others saw tooth and others that are more complex waveforms. Some machines use paddles, some mats and others use large conducting loops. From Left to Right – TOP ROW: iMRS, Ondamed, Magnopro, MRS 2000. MIDDLE ROW: QRS Quantron, Medithera, Curatron 2000, Pap-imi, Pemf 100 or PMT-100, MG 33 or Magnacharger. BOTTOM ROW: Bemer 2000, Diapulse, iMRS – New MRS 2000, Medithera. With so many different PEMF machines and models choose from and so many varying opinions… who should you believe? To be clear, when I use the word PEMF, I am referring first and foremost the natural pulsed magnetic fields of the earth. As we’ll as Frequency. This is a combination of the geomagnetic field of the earth and its frequencies along with the Schumann Resonance of the Ionosphere. Together, these natural energies of the earth, sustain, energize and protect us (from solar winds, cosmic rays, etc.). Plus, these energies are ESSENTIAL for life, just like food, water and oxygen. And modern science now has developed PEMF devices that simulate and duplicate the earth’s natural PEMF frequencies. RELIEVE PAIN IN SECONDS! AMAZING HEALTH BENEFITS! PEMF4000GIII! Thank you for your interest and discovering the most miraculous and exhilarating innovative technology ever created! The PEMF4000 New Generation 3 is dramatically assisting and presently restoring whole health to many clients and patients of the wellness community! In the past, people dreamed of what the future might look like. Imagined how people might live in a time when advanced technology provides the solution for today’s worst health problems. Chronic pain due to illness, injury, surgery and old age was the widest reaching incurable health problem in the U.S. and indeed the world in 2013. I would have say that it “was” the worst incurable health problem because right now you are holding in your hands the key to curing it. We are Lemuria Technologies, the original electronic manufacturer (OEM) that invented the PEMF 4000. A medical device that relieves chronic pain in as little as 15 seconds and accelerates patient healing up to three times normal. Because we believe the future starts here. Our team at Lemuria Technologies developed the PEMF 4000 based on existing research proven and published by respected sources. Our personal systematic research and development went toward applying these scientific discoveries to creating a product that satisfies market needs unmet by our competition. Our company is the first to apply this never before discovered technology in the form of a new product, the Lemuria Technologies PEMF 4000, and will provide us a profound advantage in the medical and consumer electronics marketplace that we are about to enter. Hope to speak with you soon! Contact me today. Oxygen Therapy, Activated Air – Airnergy / Valkion/ Active Air / Ionized Air , oxygen concentraters, EWOT (exercise with oxygen training), hyperbaric chambers. 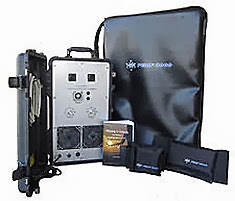 After owning, trying, and in many cases eventually selling most of the aforementioned energy medicine devices; I can honest say that PEMF therapy is the ONE device I personally use every day and it’s the first and most important health and healing device you can invest in. When I first tried an earth inspired PEMF device (PEMF4000), I immediately noticed better sleep that first night and significantly more energy the following day. Overall I felt and still feel daily a sense of being “lighter” and more energetic. The feeling was and still is subtle, but it’s very tangible. Two years later, PEMF4000 is the my must trusted and favorite device I still use every day out of ALL the above $500,000 worth of devices I have owned, because this WORKS! 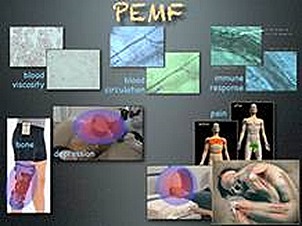 PEMF devices are literally a “whole body battery recharger”, and by using a PEMF therapy mat just 2 times a day for 8 minutes, you recharge your 100 trillion cells, improve ATP production, increase oxygenation, enhance circulation, increase hydration, facilitate detoxification, and gain a better absorption of nutrients. I have seen pulsed magnetic therapy help so many people with so many different conditions, especially with pain relief and better sleep; I feel that I can almost guarantee it will help anyone. 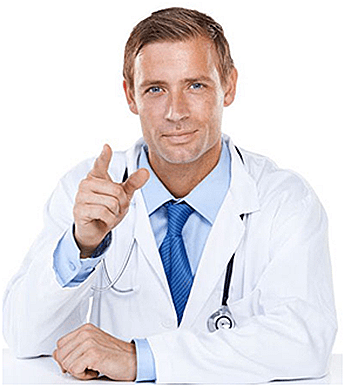 Of course, I don’t guarantee anything and I certainly do not make any claims for treating or curing any disease, but when you see not just one, not just a dozen, but literally hundreds of people benefit in such profound ways; you speak with passion and confidence. And these are hundreds of people I have personally worked with; not just second hand testimonials or antidotal evidence. And PEMF therapy can help YOU too! Whether you are in perfect health, or you have any kind of intermittent or chronic issue! If your body is out of balance, PEMF can “jump start” the healing process. Imagine putting little tiny jumper cables on all 100 trillion cells and jump-starting them back to health. More than 10,000 scientific papers have been published about the effect of PEMF. Many of the studies have been carried out in Russia and Eastern Europe, but more and more research is now taking place in the U.S., and PEMF even now has FDA recognition for a few different conditions. PEMF is a non-contact, non-invasive, non-pharmacological and effective treatment for many conditions. Worldwide more than 2,000 double blind, university level medical studies have demonstrated that PEMF therapy is a safe and effective treatment for a variety of medical conditions, as well as to promote and maintain general cellular health and function. Intensity is a little easier to understand as it’s just the strength, amplitude or dosage of something (or the amount). Frequency is a little more complex, but its crucial to understanding energy medicine and PEMF Therapy so we’ll carefully define it. I promise it will be well worth carefully absorbing this section and the next as it contains the most important thesis on this website, which is the FACT that frequency is the KEY to PEMF therapy, not intensity. And as we’ll see, it’s specifically the frequency that the earth’s magnetic field and ionosphere (Schumann Resonance). These Earth frequencies are primarily in the 0-30 Hz range and they exactly match the frequencies of our body, mind, tissues and cells. So give me your full attention for this page and the next and I promise you’ll glean a much greater appreciation for the importance of Earth based PEMF therapy. Let’s begin by defining frequency. It’s easiest to think of frequency in terms of waves and it is measured in the hertz unit, named in honor of the 19th-century German physicist Heinrich Rudolf Hertz. The hertz measurement, abbreviated Hz, is the number of waves that pass by per second, or the cycles per second or number of oscillations per second. For example, an “A” note on a violin string vibrates at about 440 Hz (440 vibrations per second). Frequency is an abstract mathematical concept that applies to many physical phenomenon. For example, water waves are a visual way to see frequency. If there are a lot of waves in a small given area that would be a high frequency relative to a small number of waves (see image to the left). The most important application of frequency is in the electromagnetic spectrum, which includes visible light. The mysterious and vitally important photon is the force-carrying particle behind ALL electromagnetic interactions. 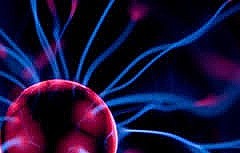 Basically the photon carries or transmits the “force” responsible for all electrical interactions between charged particles, which are mainly the electron and proton in our everyday world. But the photon does even more. It makes up all visible light, radio waves, infrared waves, x-rays and gamma rays and everything in between which in totality comprises entire electromagnetic spectrum as pictured to the left. The lowest frequencies in this spectrum are radio waves that can have a wavelength up to several hundred miles. Then, in order of increasing frequency, there is microwaves, infrared, visible light, ultraviolet light, x-rays, gamma rays and cosmic rays. 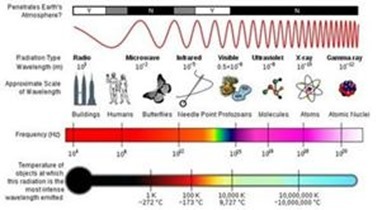 Notice we can only “see” a small tiny “slice” or portion of the electromagnetic spectrum which is visible light. The Sun is a source of most of the electromagnetic rays we experience on a daily basis, which is mostly from the infrared through the visible to the ultraviolet end of the spectrum. Some animals can see into the infrared and ultraviolet, but the human eye can only detect around 400 – 700 nm wavelength which is around 10^14 cycles per second (a VERY HIGH frequency) corresponding to colors red through violet. Infrared is aptly named, as it is just “below” red, and ultraviolet is just “above” violet. Interestingly, the peak emissions from the sun are in this range such that the human eye seemed to evolve in synch with the emissions from the sun. Infrared and ultraviolet are not the peak emission but are definitely present as evidenced in the warmth we feel from the sun (infrared) and the sunburn we can experience from ultraviolet. The earth itself emits frequencies which are all important for life to exist. These are the earth’s natural PEMFs that we need as an essential element for life and our health. Let’s take a closer look at the two components of frequency that the earth emits. The first is the resonant frequency of the Ionosphere called the Schumann Resonance and the second is the actual frequency of the earth’s magnetic field called the geomagnetic frequency. If you can understand this section, you will understand exactly why we need pulsed magnetic intensities matching the earth with a frequency range of 0 – 30 Hz. 0 -30 Hz is the magic range and there is both scientific evidence and elegant beauty as to why your body needs this frequency range, especially the 7 – 8 Hz range (Schumann resonance). The chart to the left summarizes the Body – Mind – Earth Connection. First the earth emanates primarily this frequency range through both the Schumann resonance and its higher harmonics and also the frequency of the Earth’s magnetic field and its higher harmonics. It’s interesting that you can easily rearrange the word “Earth” and get “Heart”. The earth is a living organism, and if there were a heartbeat to the earth it would be the Schumann resonance frequencies. Just as a tuning fork has resonant frequencies for sound, so the planet earth and the ionosphere surrounding it have resonance frequencies for electromagnetic radiation called the Schumann Resonances. 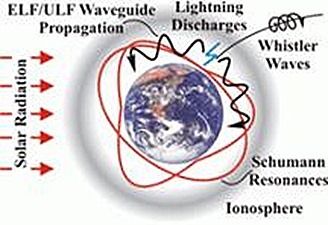 Basically the ionosphere with the Earth’s surface creates a spherical wave-guide that surrounds the earth. Low frequency electromagnetic waves bounce around this waveguide, which is how radio signals can be transmitted around the globe. The fundamental frequency of this spherical cavity of the earth is 7.83 hertz, which, like a tuning fork, is the earth’s fundamental “note”. These frequencies are excited mainly by lightning strikes (5000 lightning strike every minute) in the cavity formed by the Earth’s surface and the ionosphere, but can also be induced by solar flares. More than 7 million lightning strikes the earth each day, which “ring” the proverbial bell of the ionosphere that chimes to the note of 7.83 and higher harmonics or octaves (as we’ll see). This natural frequency pulsation is not a fixed number, but an average of global readings, though the primary fundamental frequency is usually close to 7.83 Hz. The Schumann Resonance actually fluctuates due to geographical location, lightning, solar flares, atmospheric ionization and daily cycles. And contrary to the New Age discussions, the fundamental Schumann Resonance is not rising, at least according to continuous monitoring from geological observatories around the world. And just as a piano has varying octaves of “C”, so too does Schumann frequencies have higher octaves or harmonics, the primary ones being in the 0-30 Hz range, which as we’ll see in the next section is the most important frequency range for or body, mind and cells . Note: the first harmonic of 7.83 is by far the strongest with each subsequent harmonic diminishing in intensity. For all practical purpose harmonics above the fifth are virtually non-detectable. It is important to note that the Schumann Waves are quasi-standing waves or scalar waves and as such are more fundamental then electromagnetic waves. One simple way to understand this is that the 7.83 Schumann scalar wave is the prime “channel” or broadcasting frequency for all of life on earth. It appears all animals and living organism are tuned to this frequency and its harmonics and it is the most important facet of the Earth PEMF (along with the earth’s magnetic field and its frequencies) that we need for life. We all march to the cadence of this cosmic drummer — our planetary heartbeat, which sets the tempo for our health and well-being. Beginning in the mid-70s, W.R. Adey and S.M. Bawin did several experiments with brain tissues of chickens and cats. They irradiated the tissue with a wide range pulsed electromagnetic field (PEMF) intensities and frequencies. In their investigation, Adey and Bawin found a range of frequencies and intensities in which treated cells responded. Outside of these ranges or “windows”; however, there was no response or only a minimal response at best. The experimentally determined frequency range is know as the Adey Window or more descriptively the biological window of frequencies that living cells respond to in a favorable way. The Adey window corresponds exactly to the primary frequencies of the earth’s Schumann and geomagnetic fields, which we demonstrated is also 0 – 30 Hz. In 1995, Siskin & Walker noted that an ELF of 2Hz stimulated nerve regeneration, and a frequency of 7Hz can be used to stimulate bone growth. 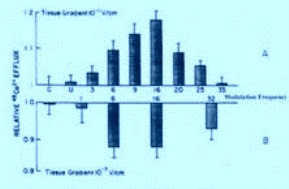 Frequencies of 10Hz promotes ligament healing, and 15, 20, and 72Hz may be used to decrease skin necrosis and stimulate capillary formation. Since tissues and organs are made of cells this research further confirms the hypothesis that the human body needs, resonates and responds to the0-30 Hz range of frequencies. The frequency of the pulsations is not steady, but “sweeps” up and down, from 0.3 to 30 Hz (cycles per second), with most of the activity in the range of 7-8 Hz. Confirmation of Zimmerman’s findings came in 1992, when Seto and colleagues, in Japan, studied practitioners of various martial arts and other healing methods. The “Qi emission” from the hands is so strong that they can be detected with a simple magnetometer consisting of two coils, of 80,000 turns of wire. 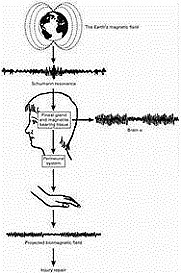 Again it was found that the Qi Kung Practitioners emitted the same frequency range of 0-30 Hz. 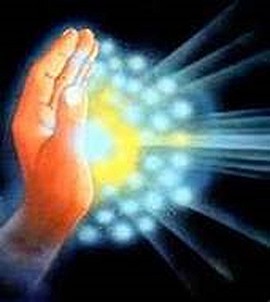 This is important, because next we are going to discuss perhaps the MOST important insight on this site, namely the BODY – MIND – EARTH Connection and why 0-30 Hz is the most important healing frequencies the body needs (and the earth gives us!). 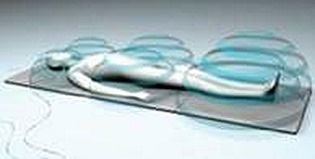 This is the Body – Mind – Earth connection and the BEST pulsed magnetic therapy device should use primarily 0 -30 Hz… As we shall see in the reviews, there is really only one such device, though there are a few others that are close. It amazes me that more magnetic pulsing devices do not use this frequency range?? ?